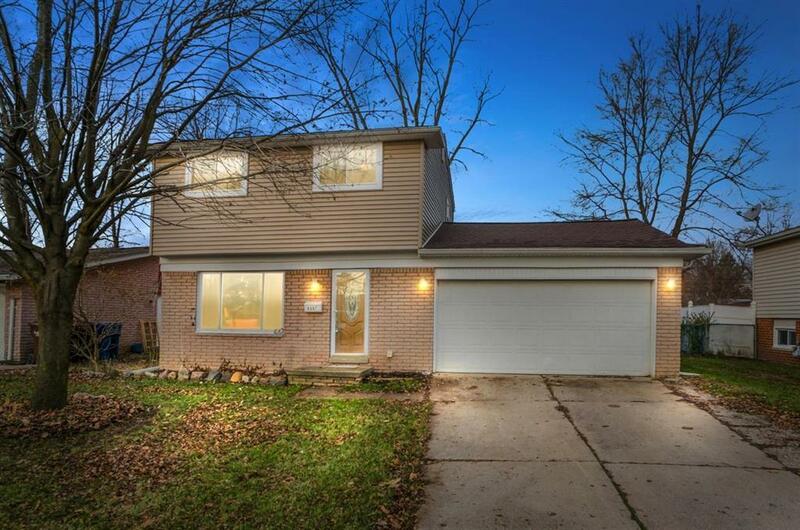 Don't miss this beautifully well maintained 3 bedroom 1.5 bath home. Marble and wood floors throughout the main floor accompanied with fresh paint and an updated kitchen with eat in nook makes this a must see! Family room with door wall leading to large private deck overlooking fenced in yard & large storage shed. Upstairs features 3 bedrooms with full size bath. Plus full basement w/ partially finished rec room space possibilities, laundry room & newer water heater! Newer roof, siding, gutters & doors provide some worry free practical upgrades.